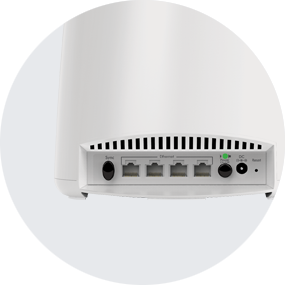 From the basement to the backyard, this Orbi Whole Home WiFi System (RBK53) covers up to 7,500 square feet with high performance AC3000 WiFi. First with innovative Tri-band WiFi, Orbi helps deliver the fastest available Internet speeds even as more devices connect. 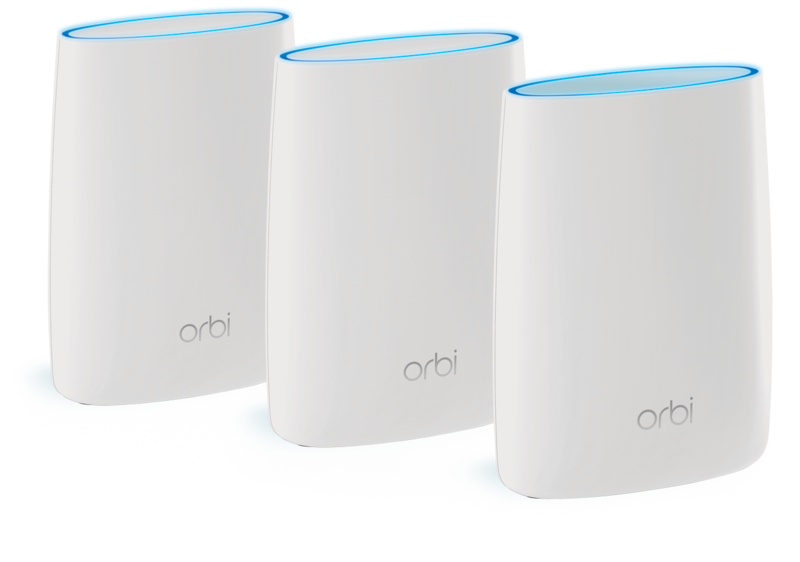 This Orbi WiFi System comes with an Orbi WiFi Router and two Satellites and replaces your home router and extenders. It also easily works with existing Service Provider equipment so you will enjoy better WiFi everywhere. If you like the performance and stability of a wired connection, an Orbi WiFi system is a great solution for you. Connect more wired devices using the 4 Ethernet ports on the Orbi desktop Satellite. Up to 100% faster WiFi than Google WiFi and Eero - why settle for less when you can have the best.